Qi-Certified fast wireless charger, which will bring you unlimited charging experience. It not only is a wireless charger but also is a phone holder, perfect for car/home/office using with its included three different holder bases. It can charge your phone quickly, reliably and safely, suitable for Samsung Galaxy S8/S8+/S7 Edge/S7/S6 Edge+/S6 Edge/S6/Note 5/Note 8 or for iPhone X/iPhone 8 Plus/iPhone 8 and other Qi-Enabled devices. Universal Qi standard wireless charger, suitable for Samsung Galaxy S8/S8+/S7 Edge/S7/S6 Edge+/S6 Edge/S6/Note 5/Note 8, or for iPhone X/iPhone 8 Plus/iPhone 8 and other Qi-Enabled smartphones. It can enable you charging your phone very fast(charging rate can up to 73%). Supports over-voltage protection/over-current protection/over-temperature protection to ensure safe and reliable charging. 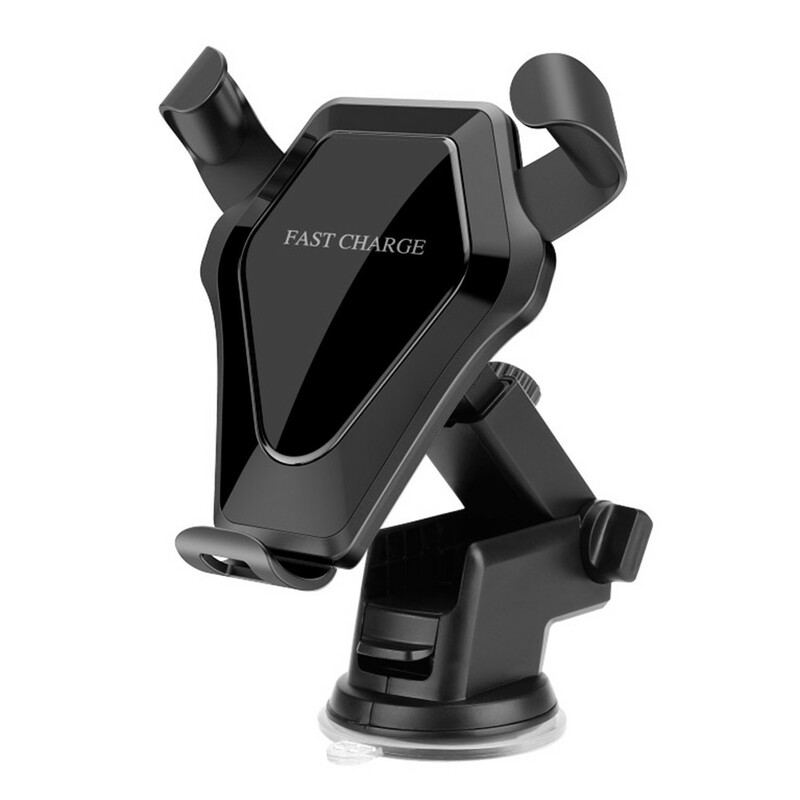 Comes with three different holder bases(air vent mount+suction mount+desktop mount), so it can be mounted on dashboard/windshield, car air vent or desktop as your prefer. Gravity sensor function, it will automatically grip your phone firmly by gravity when you put your phone onto the charger. Supports two charging modes, one is fast charging mode(only for Samsung Galaxy S8/S8+/S7/S7 Edge/S6 Edge+/Note 5/Note 8) and the other is standard charging mode(like for Samsung Galaxy S6 Edge/S6, or for iPhone X/iPhone 8/iPhone 8 Plus, etc).